When taking up running or getting back to it after a break, our muscles are not conditioned to the impact and need to be slowly strengthened again. This phase requires a lot of care for our joints and muscles and the build up of a recovery routine, which will keep us healthy along the way. A slow and steady plan is the way to go, rather than ignoring strain on the body. Injury prevention is not only important for new runners but also for experienced runners. Especially when we have been running for years, we might get a bit more careless when it comes to recovery, after all, you have been running for years, right? Repetitive movements over long periods can cause injury, if we haven’t built up to it. The more we run, the more we stick to a specific technique and use the same patterns. It is great because we get stronger BUT it also puts the same strain on the same muscles and joints over and over again. Here are a few injuries we commonly see and what we recommend for optimal recovery and prevention. A big issue for runners can be Hamstring pain, especially when your running load starts to increase. A common factor that can be contributed to Hamstring pain is under-active Glutes and therefore overactive Hamstrings. When increasing training, the Hamstrings taking over more of the work and the risk of injury to the muscles and tendons increases. Have you ever thought about taking up Pilates to complement your running? Well, we think you should. Your body awareness will increase and you will not just strengthen your Glutes and make sure to fire them up when needed but also help all stabilizing muscles and maintain better form when out for longer runs. Working the Hamstrings a lot, shortens the muscle and applies pressure on the tendons. To give the needed length back to the muscles, a thorough stretching and rolling routine can be of great benefit. It’s important to take your time and feel what is going on in your body and how your muscles react. Never force anything. Working tight muscles will feel tender BUT do not push through pain, rather work with your body and allow your muscles to release with your breath. Remedial Massage will help to iron out any tension and trigger points in the muscles and fascia and will also help make you aware of any imbalances and/or tension you didn’t think you had! Think about regular treatments, to compliment your recovery, training and prevent the potential for overuse injuries. 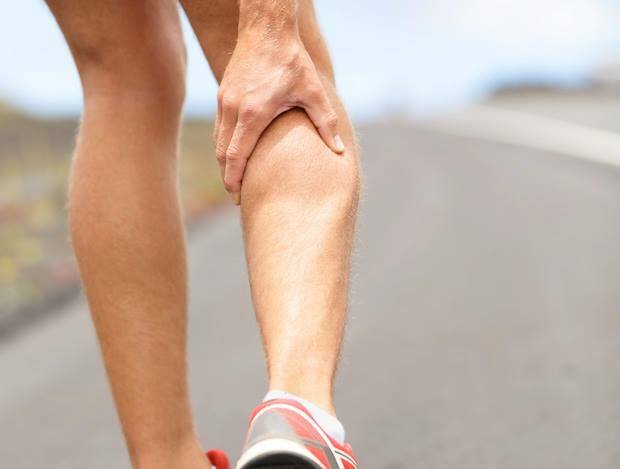 Overactive and tight muscles apply constant pressure on tendons, which can aggravate and inflame the tendon. Tendons generally strengthen slower than muscles. If the workload is increased to quick, the tendons might not be ready for it and the muscles apply too much pressure too fast. For runners this is very common in the Achilles tendon. It starts with a feeling of stiffness, initially in the mornings, which evolves into pain, which then becomes more consistent and starts impacting running. This pain is felt directly in the tendon rather the muscles, and impact your range of movement at the ankle. If we look at the Achilles tendon, it connects the Calf muscles to the heel. To take the pressure off the tendon, we must keep the calf muscles healthy and flexible but also strengthen the tendon. Strengthening of the tendon is a big part of prevention and early intervention, bearing in mind that strengthening of tendonous tissue is much slower than muscle tissue. For this an incorporation of isometric, eccentric and concentric loading is preferred. Add concentric calf raises (1st video) : moving onto toes and slowly lowering back down 3×15 reps, initially double leg and then single leg. As you start feeling stronger after a few weeks, move onto eccentric calf loading. (2nd video) standing on a block or step: the muscle and tendon is most stressed in a lengthened position. For single leg raises come to the toes involving as little work as possible, the emphasis is on slowly lowering the heel, move back onto toes with help of the other leg. Aim for 3×15 reps each, while taking at least 6 seconds to lower the heel. As a preventative measure, stretching, rolling and massage are highly important. BUT if you are already suffering from inflammation in the tendon, stretching is NOT recommended. The focus should be on rolling and regular massage. Also think about the cause of your tendinitis. If you have a good stretching, rolling and massage routine, the cause might be your running shoes, running style or a muscle weakness. Specialists like Podiatrists, Physiotherapists and Exercise Physiologists will be able to determine either: the best shoe for you, better running technique, specialised strength exercises and can eliminate muscle imbalances. Below in the first video Jana demonstrates how to use the spikey ball to release calf tightness. Video 2, Jackie and Jana talk you through using s foam roller on the calves. And the 3rd video Tom Beck from Performance Physiotherapy explains the causes of Achilles tendonitis. Oh those ITBs! For most runners this is an ongoing area to work on. If neglected, knee pain may occur, caused by ITB Friction Syndrome or Patellofemoral Pain Syndrome. Common causes for ITB syndrome are weak Gluteals, weak stabilizing muscles, running style, increased running load too quickly or wrong foot wear. Rolling Rolling Rolling! 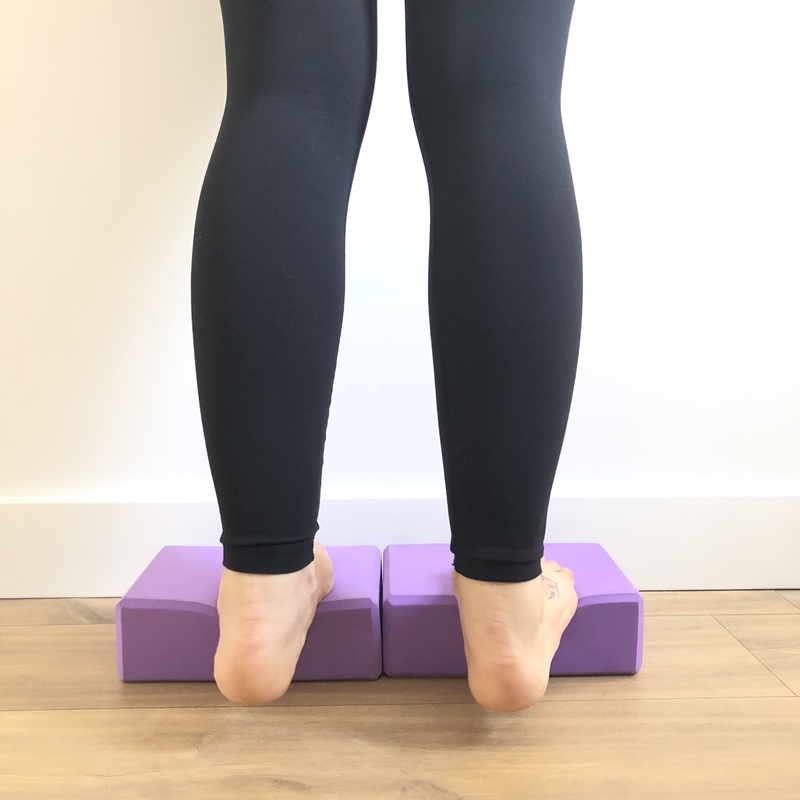 When we say rolling, we don’t just mean the ITB but also the TFL, which is the tissue which is connected to the ITB above the hip joint. We know that there are different opinions on whether you should or shouldn’t roll your ITBs with the foam roller. We say whatever works! If you choose to roll your ITB’s and it gives you relief, then keep doing it. If it doesn’t, then stop and focus on rolling your TFL with a ball. Ultimately, what we do encourage is getting to the source of the symptom. Whether it’s strengthening your Glutes (especially Gluteus Medius) to encourage hip stability (which unloads the knee) or retraining your running gait, whatever it is, the pain is just a symptom of a bigger issue. Remedial Massage and/or Cupping are another good ways to find some release in the tissues as we can get deeper and can also work on releasing surrounding tissue to help an overall release in tension of surrounding structures. To effectively help this issue, strengthening work and maybe a shoe assessment will be advised. Strong Glutes and stabilizing muscles will help keeping additional pressure off the ITB and will keep the knee cap stable while running. Prevention is the key. This is important whether your a first time runner or if you’re an experienced runner. A strength and condition program to compliment your training as well as a recovery program will help your chances of staying injury free. Start/restart your running program slow and increase slowly, while listening to your body. Keep up with your stretching and recovery routine. This is something not to be neglected, especially as we start feeling stronger and increase the km. Regular maintenance massages to complement rolling and stretching will help keeping muscles healthy and make aware of changes. 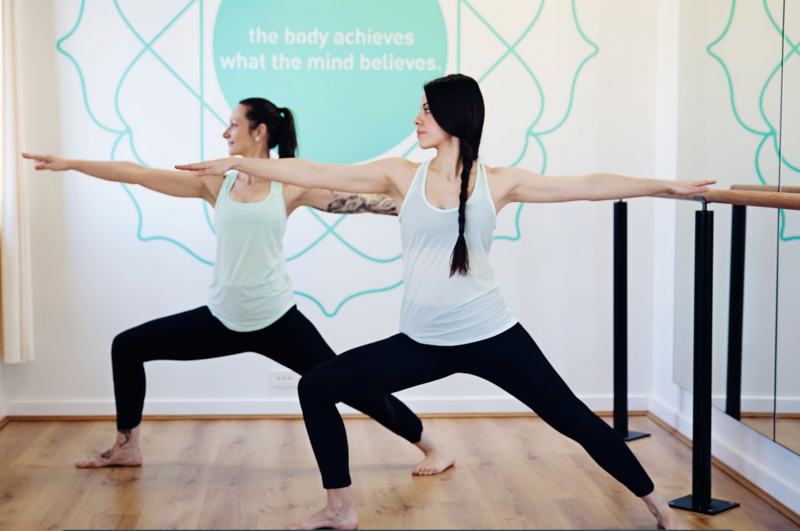 Take up Pilates and/or Yoga or a strength program complimentary to your needs to increase your body awareness and prevent muscular imbalances. Remember, injury prevention is always easier than the long process of healing and recovery.